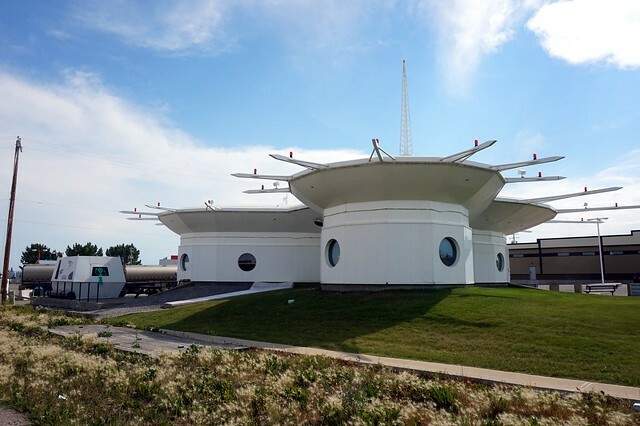 Roadtrip 2014 – Vulcan, Alberta – vegan in your city. I’m continuing my series of posts from our Summer Roadtrip in 2014, you can see some of the past & present posts on this helpful map on Pinterest, or just click on the Roadtrip 2014 tag to peek at some of our past summer adventures sightseeing and eating delicious vegan food across Canada and the USA. We didn’t get there on a particularly busy day, a Wednesday afternoon, but the Vulcan Visitors Centre was open and we got to wander around and take pictures in the museum. The staff seemed pretty bored, just generally tired of weirdos like us, they were nice enough as we wandered around gleefully looking at some of the silly or ancient things in the store/museum space. 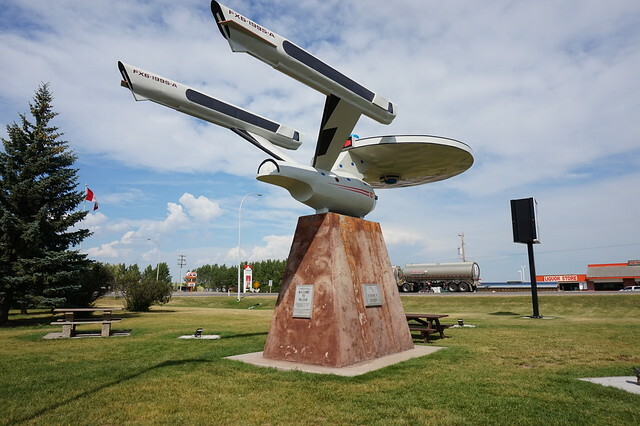 We bought a few postcards, and mailed them off at the Vulcan Post Office, but if you do find yourself passing through or visiting, you’ve got to get a picture with the Enterprise, just outside the tourist center. 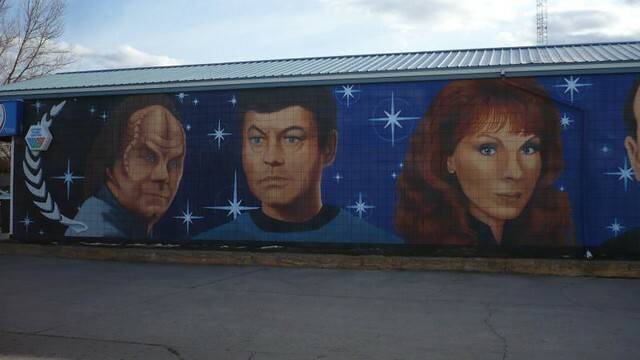 And of course, check out some of the murals around town. 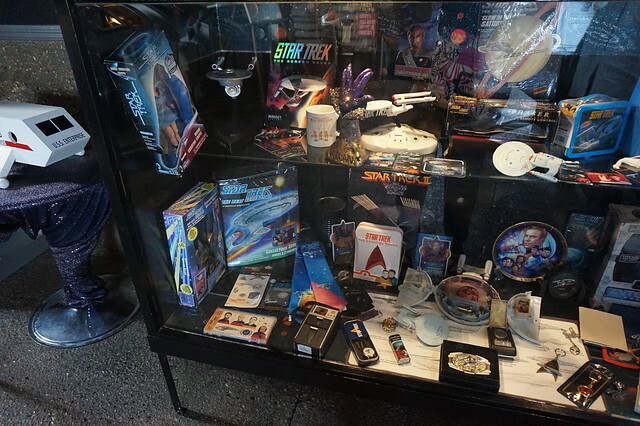 Another thing you might want to do is visit Trekcetra – a Star Trek museum in Vulcan. We would have gone, but they were closed on Wednesdays. 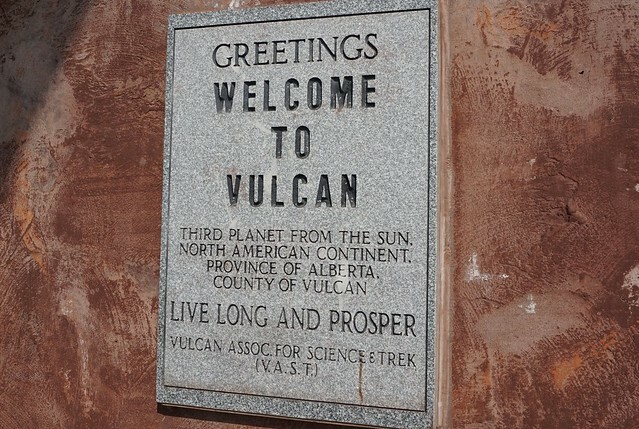 You can check out other attractions on the Town of Vulcan’s website. 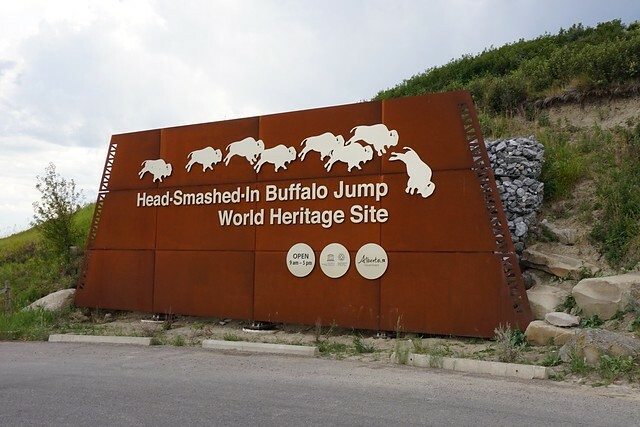 Our next stop before reaching the National Park was Head-Smashed-in Buffalo Jump, a UNESCO world heritage site. It seemed like a good time to keep driving on. The further south we headed, the darker the clouds got and the windier it seemed. We had a bit over an hour ahead of us, and I had booked a campsite but we wanted to get there before it got too dark outside. Did we make it (spoilers: yes) but the conditions rapidly deteriorated on the way there so it got a little dicey. Next Stop: Waterton Lakes National Park.